Economists are urging government to focus heavily on job creation in order to grow the economy. This after Finance Minister, Tito Mboweni, delivered his maiden budget speech on Wednesday in the National Assembly. There will be no increases in income tax rates and the VAT rate will remain unchanged but the tax-free threshold for personal income taxes has been upped from R78 000 to R79 000. 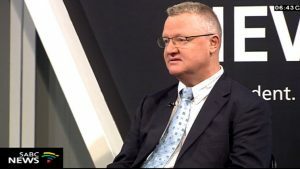 Speaking on Morning Live, tax expert Billy Joubert, says the country’s tax-base can only grow effectively if there is a decrease in the unemployment rate. The post Decrease in unemployment rate will grow country’s tax-base: Economist appeared first on SABC News – Breaking news, special reports, world, business, sport coverage of all South African current events. Africa's news leader..